We’re delighted to announce the following new coaching appointments. 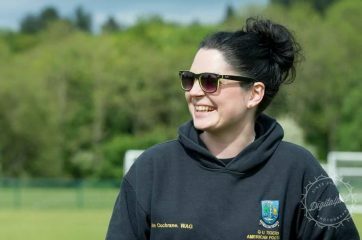 Claire Cochrane takes over as Head Coach of the East Kilbride Pirates women’s contact team from outgoing Head Coach Andrew McGowan. As well as being one of the founding members of the East Kilbride Pirates women’s contact team with three seasons playing experience, Claire also has two seasons of coaching experience as Running Backs coach at the Glasgow University Tigers under her belt. Joining Claire on the women’s contact team coaching staff are returning coaches Neil Baptie on offense and Paul Stewart on Defensive Line as well as some new faces. On offensive line will be another coach coming through from within the women’s team – Aimee Wilson, another founding member of the women’s contact team with experience from three seasons of Sapphire as well as GB, Diamond series and senior football. Aimee will be a player-coach. Meanwhile, on the defensive side of the ball Duncan Adams joins as Defensive Coordinator. Duncan has been defensive backs coach at university premier division powerhouse Stirling Clansmen since 2012. He will coach linebackers and defensive backs. The East Kilbride Pirates women’s team’s pre-season is already underway, but things kick off in earnest with taster sessions on Wed 5 September and Wed 12 September. Taking over from outgoing Head Coach Jig McCoy at the Hamilton Buccaneers is Stuart Gilmour. 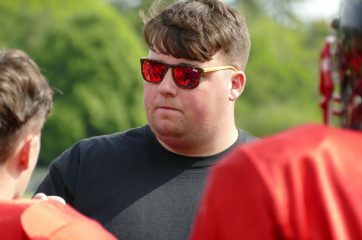 Stuart, who started his playing career as an offensive lineman with the Buccaneers youth team back in 2013, went on to progress through the club’s junior and senior teams and also became a member of the club committee in 2017. Stuart has been coaching with the Buccaneers for the last two seasons. He will also hold the role of offensive coordinator. Returning to the coaching staff for the Hamilton Buccaneers for the season ahead will be fellow former-Buccaneer Martin Gallagher as defensive coordinator, Brodie McDonald and Max Corbett as assistant coaches, along with Kris Nunn leading on the Buccaneers U13 flag team. They will be joined by Pirates senior team player Ryan Miller, who will be taking on his first coaching role at the Buccaneers. The Hamilton Buccaneers youth and flag teams return to regular practice on Sunday 2 September at Hamilton Palace from 10am-12pm. Good luck to our new head coaches, the new faces joining the EKPW contact and Buccaneers youth teams, as well as those returning for another campaign!